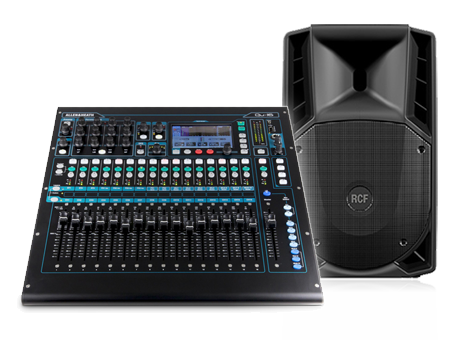 Check out our Live-Pro PA System for hire in London and the South East. This PA system presents a professional setup for small-medium live bands events that required solid sound. It includes the excellent Allen Heath QU-16 digital mixer providing extensive outboard features like compression, output graphic EQ and more. You can upgrade the system components or add extra items – cordless microphones, a media player or a sound engineer to run to control sound. Hire this PA system for live performing and acoustic band events. Hire this PA system offering high quality sound for a variety of live band events. Hire this PA system offering ample headroom for louder live band events.